One runner in Thailand crossed a marathon finish line with a furry hitchhiker that she picked up along the way. Khemjira Klongsanun was 12 kilometers into her run at the Chombueng marathon in western Thailand last Jan. 20 when she spotted a puppy by the road, as per her social media post on the same day. While other runners avoided it, Klongsanun stopped to check on the little pup. She noticed that there were no houses around and concluded it might have been abandoned. She decided to carry it along on her race over the next 30 kilometers, she told local media outlets as quoted by Runners World yesterday, Jan. 29. A video of her on Facebook shows the puppy appearing calm as she continued with the run. At some point, she covered the puppy in a towel, perhaps to protect it from the elements. 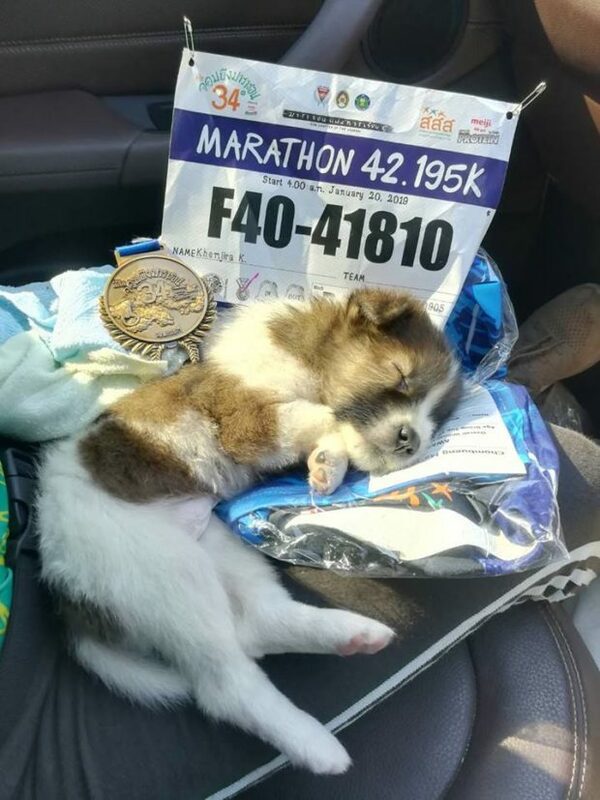 After crossing the finish line with her new friend, Klongsanun shared a picture of the tired pooch sleeping on a car seat along with her finisher's medal and race bib. Klongsanun is an animal lover and has pets of her own. Her Facebook page shows that she has even done races with dogs on a leash. However, the recent race might have been the first time that she had to carry a dog during the entire run. The runner has searched for the dog's owner with a social media post. With no one claiming it, she took it into her own home. Last Jan. 26, she shared pictures of her new family member who now has clothes, a bed and food. 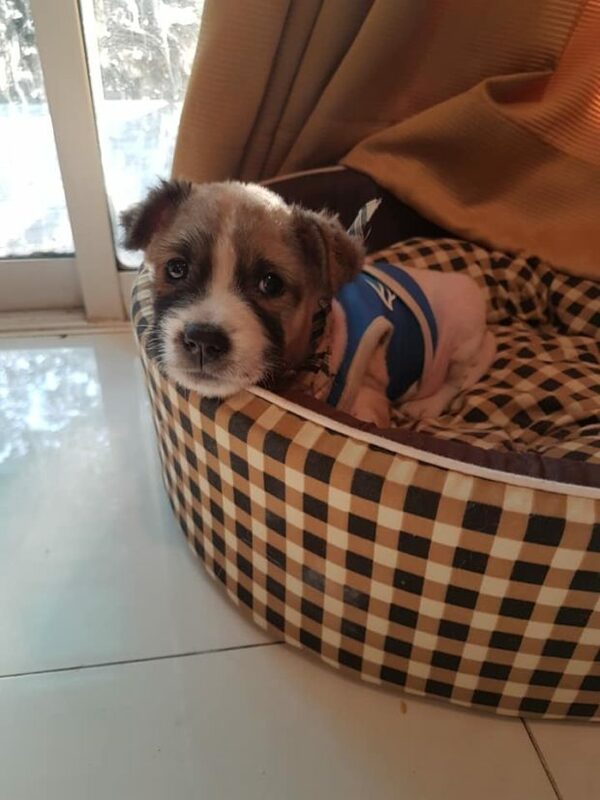 Yesterday, Jan. 30, Klongsanun shared pictures of them exploring the nearby forest at the 12-kilometer park, but had no luck in finding other dogs that could be its family or an owner. In the meantime, the pup has been taken to the vet for vaccines and enjoys playtime with other dogs at its new home - proof that what happens after the finish line sometimes matters more.